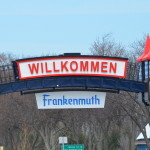 “The village of Frankenmuth began as a German community in 1845. Its first settlers were among the German immigrants who left their homeland because of poor farming conditions and political unrest. 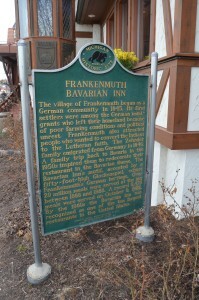 Frankenmuth also attracted people who wanted to convert the Indians to the Lutheran faith. 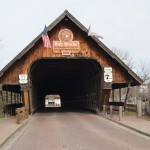 The Zehnder family emigrated from Germany in 1846. A family trip back to Bavaria in the 1950s inspired them to redecorate their restaurant in the Bavarian theme. The Bavarian Inn’s motif, accented by a fifty-foot-high Glockenspiel, echoes Frankenmuth’s German heritage. 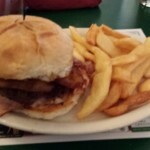 Over 20 million meals were served at the inn between 1888 and 1988. A record 5,470 meals were served on October 9, 1982. 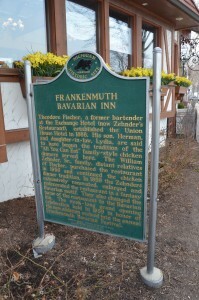 By the 1980s the Bavarian Inn was recognized as one of the ten largest restaurants in the United States. 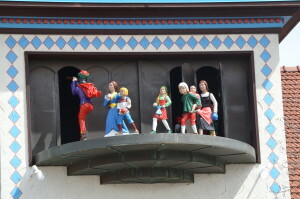 The Bavarian Inn also features a glockenspiel with an illuminated clock, a 35-bell carillon, and moving figurines – all imported from Germany. The figurines tell the story of the Pied Piper of Hameln four times each day (noon, 3 p.m., 6 p.m., 9 p.m.) and crowds gather to watch from the nearby sidewalks and parking lots. 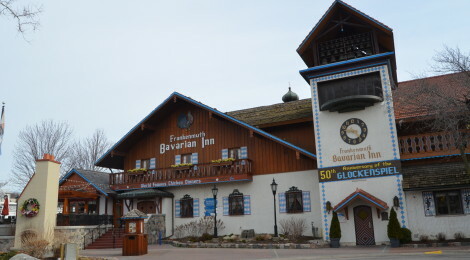 In 2017 the glockenspiel celebrated its 50th anniversary. 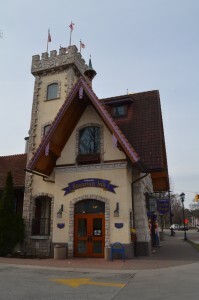 Be sure to check out our list of 16 Things to See and Do in Frankenmuth for more ideas for your visit!